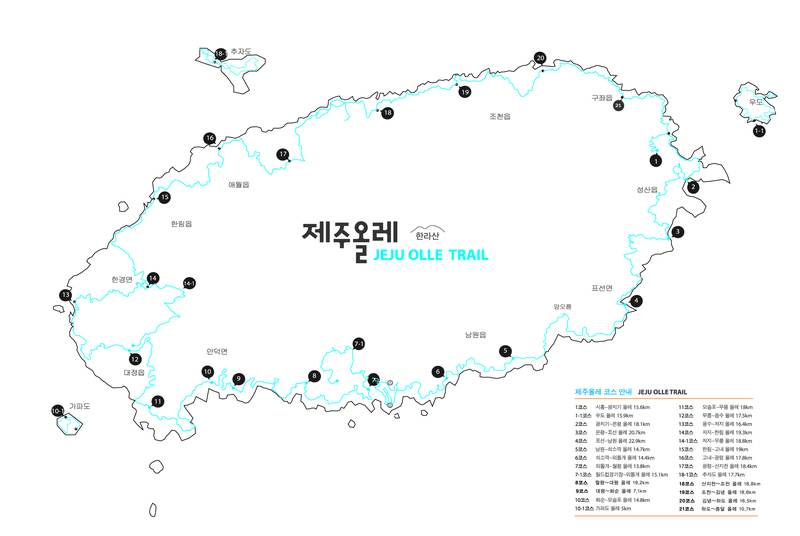 Jeju Olle Trail has ONE passport for stamps. COMPLETE the passport for a certificate and medal. Each route has a start, middle, and end point stamp. 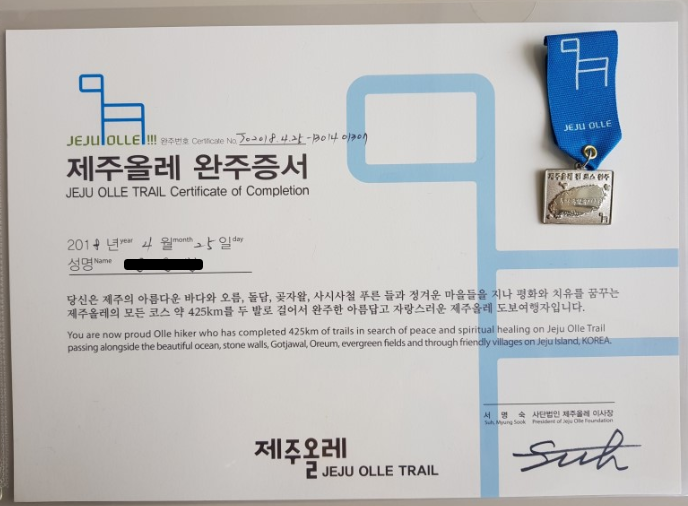 There is ONE place for Olle walkers to get their completion certificate. Passports can have up to three route mid-point stamps missing. Stamps do not have to be inside the passport to be officially considered. Stamps can be collected on scrap paper or on the inside pages of a guidebook (for example). If you do not have a stamp, a photograph at the stamp box will also be considered evidence of completion.